Registered Dietitian, Natural Foods Chef, Recipe Developer, Fitness Enthusiast, and Mom, with a Passion for Healthy Cooking and Balanced Living. Sign up to receive the latest radish recs, news, and updates. All rights reserved. © 2018 Crunchy Radish. 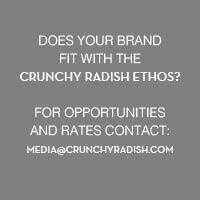 The information presented here on Crunchy Radish is not intended to diagnose or treat a disease or medical condition. Please be mindful and take a personalized approach.